A Canadian company has tripled its production capacity by moving into an old chocolate factory, a long-time vacant facility that had posed the risk of blight and crime for the community in a suburb of Ottawa, Ontario for years. According to Financial Post, this purchase could make Canopy Growth, the parent company, the owner of the biggest indoor marijuana production site in Canada, and possibly the world. The building was purchased with the help of a group of collective investors who backed Canopy. There was previously a medical marijuana facility of the site, but they were only a tenant and they only took up a third of the building’s space – a whopping 472,000 square feet. This new space has the potential for add-ons of hundreds of thousands of square feet of production and processing space, which could include expanding the indoor facilities or creating greenhouse growing platforms. Even as there is a need for commercial processing of the drug, there is also space needed to convert the marijuana and cannabinoids into products that are higher margin means of profit, such as oils and edibles. Vaporizer pens and other medical delivery options too could be easily manufactured at this site. The company expects this expansion will allow it to triple its potential for business in Ontario. The building was purchased for $6.6 million, with about $925,000 in shares. At this juncture, the company has already converted about 170,000 square feet of space into a licensed cannabis production space, with 12 of up to 40 possible growing rooms now operational. There are another dozen multi-level grow rooms that are either under construction or almost to the completion stage. The mayor of the town, Smith Falls, has said the company’s impact on the community has already been overwhelmingly positive. The site sat vacant for years after the chocolate plant shut down in 2008. That’s when Hershey moved its production to Mexico. There was no other large-scale commercial production effort that needed that kind of footprint – until this. Now, the town is looking forward to the promise of new jobs. As of right now, the company employs 200. It’s believed that number could at least triple. This goes beyond simple marijuana production. It’s likely going to involve partnerships with other dealers and businesses in the area, a highly-technical in-house quality assurance laboratory and a seed-breeding area. 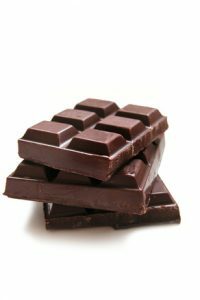 The company is also looking into whether it may be able to use any of the chocolate-making equipment left behind for the production of edible products. Eventually, the owners say they are looking forward to opening up on-site tours, training and a “bud bar” for guests to relax and enjoy the fruits of this labor. Other analysts have opined that California is primed for a “marijuana land rush,” particularly in the northern portion of the state. California could soon become the single largest marijuana market in the country, and possibly the world. We’re already seeing these kinds of real estate stories unfold. Those looking to invest or become otherwise involved should consult an experienced marijuana attorney. Tagged: L.A. marijuana business, marijuana business and marijuana lawyer L.A.